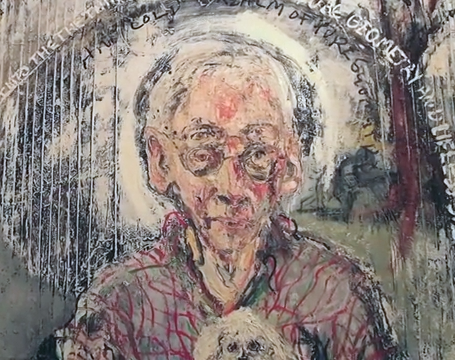 Christopher Joy and Zachary Keeting visit the studio of painter Sam Messer. Messer draws while discussing his work including his portrait paintings. He notes that "they're kind of traditional, classical paintings - symbolic portraiture... I'm not interested in the likeness, I'm interested in the feeling - and that feeling, the way I work, comes across in the making, something happens and that's what I stay with... I'm not trying to get a specific image or specific likeness. I'm trying to find some relationship between that and the form, so therefore it can stay open."